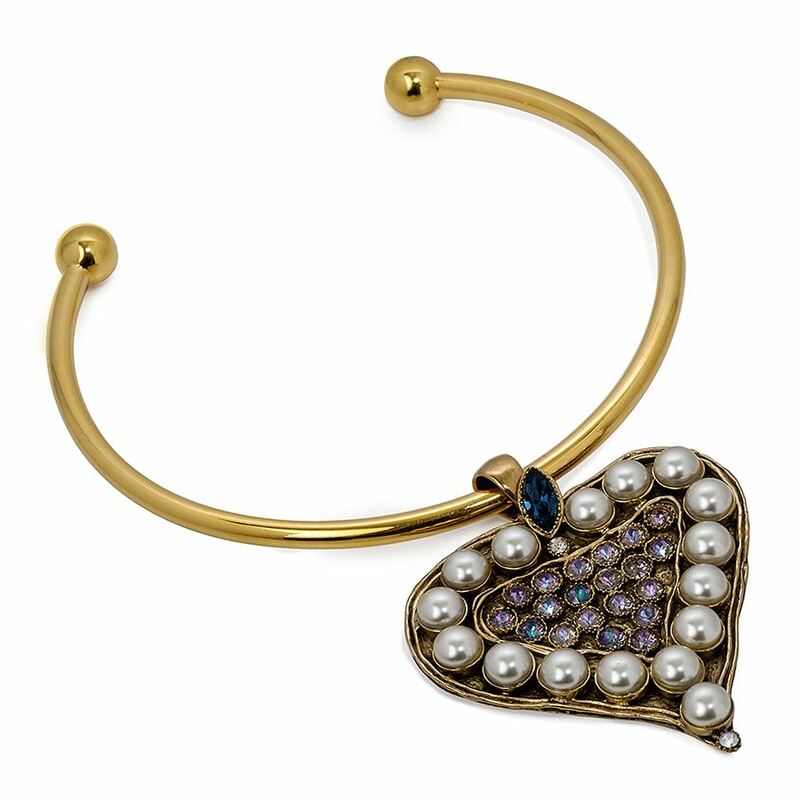 The Lucky bangle makes a modern yet refined statement. 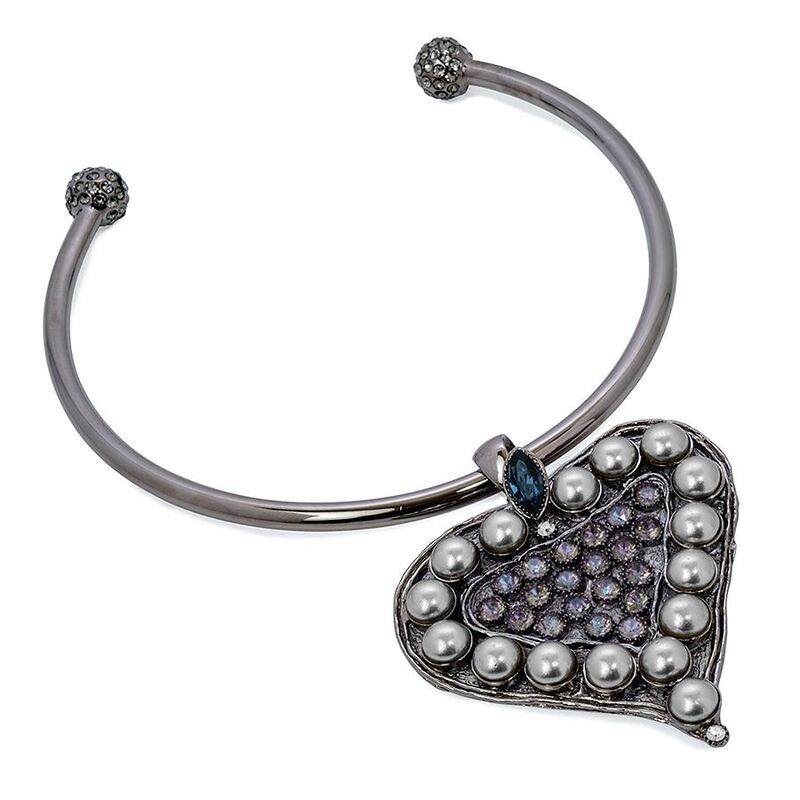 Featuring 2 bezel set grey pearls, black nickel-plated hinged bangle is perfect alone or stacked with our Biltmore bangle. 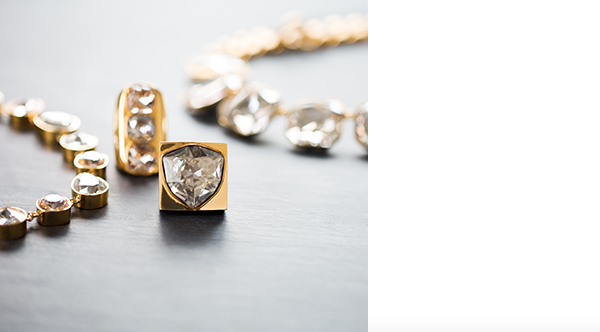 The Lucky Earrings make a classically refined statement. 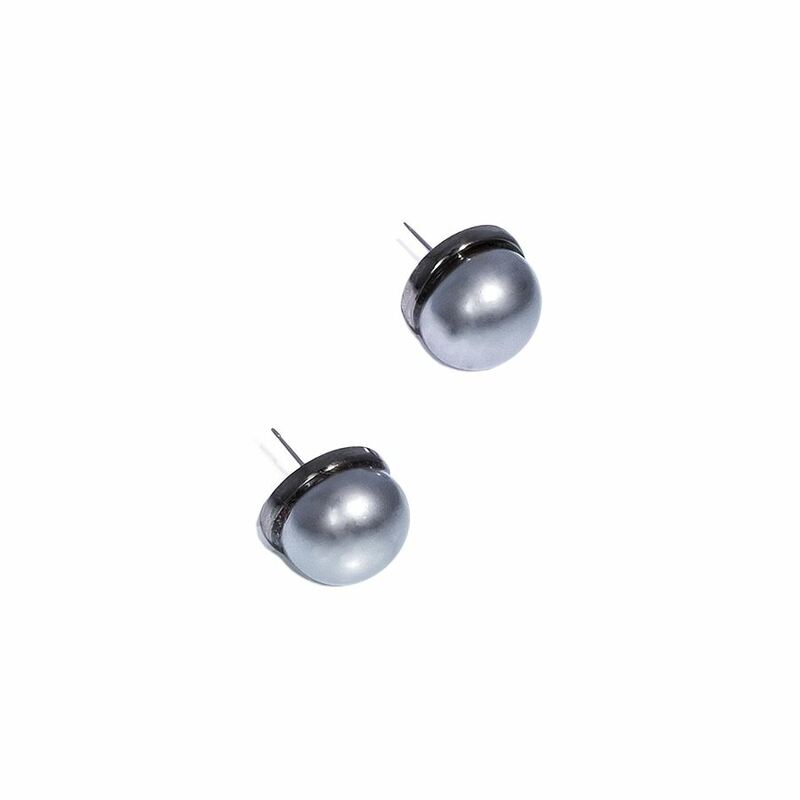 Featuring a solo bezel-set glass pearl in grey, wear these rhodium plated post fashion earrings for women on any occasion. 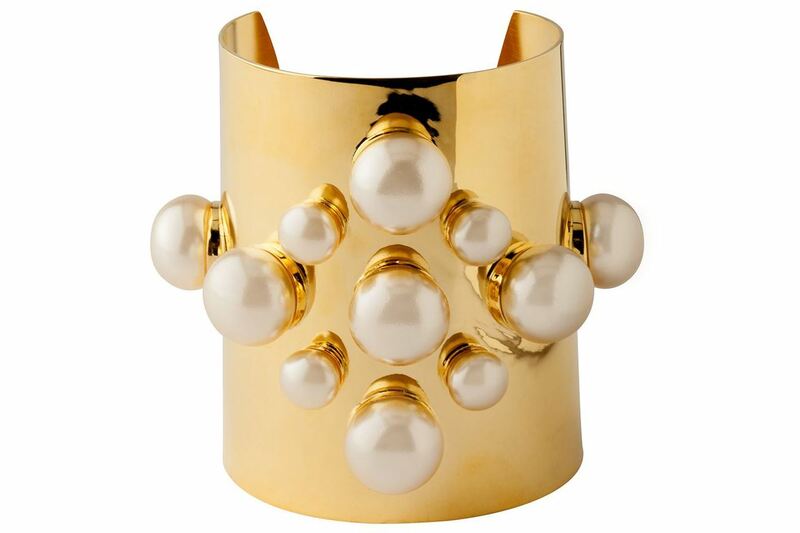 The Lucky Lady Cuff takes a classically refined look up a notch with high dome pearls in two sizes. 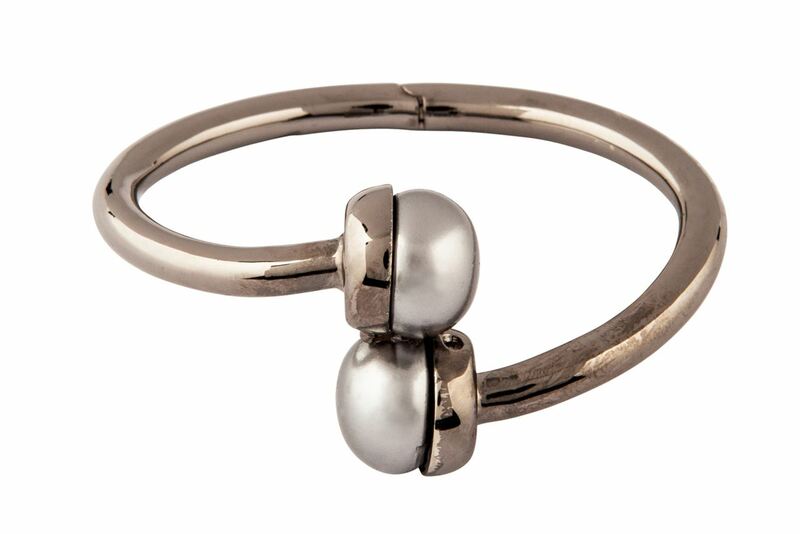 The gold bracelet for women triangle pattern adds more style and more luck! The Lucky Necklace with contrasting gem clasp makes a modern yet refined statement. 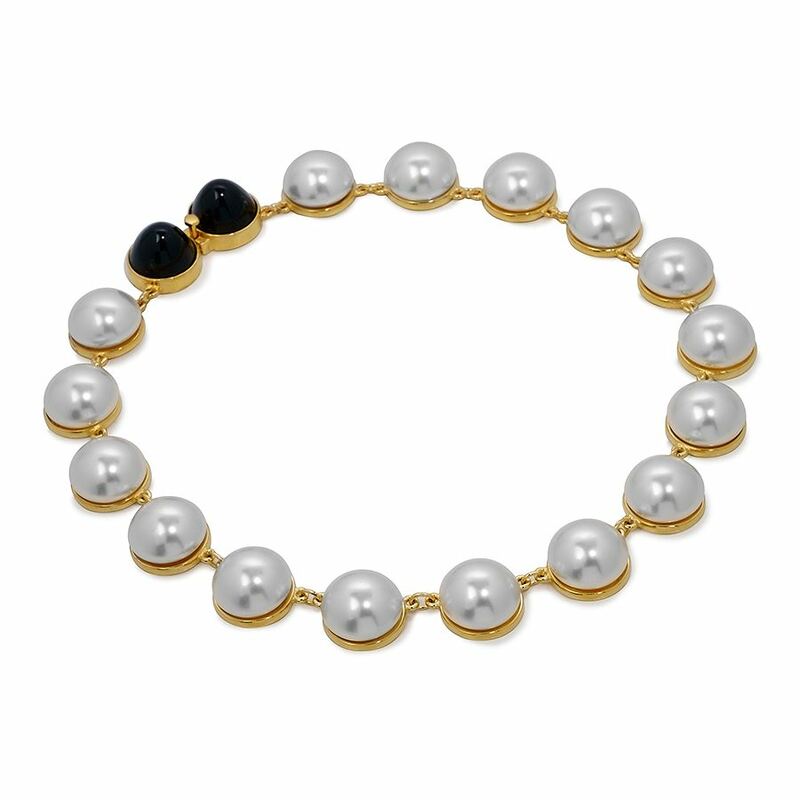 Featuring Swarovski Creme bezel set pearls, this 24KT gold-plated necklace is a perfect day to night accessory. The Lucky Necklace with contrasting gem clasp makes a modern yet refined statement. 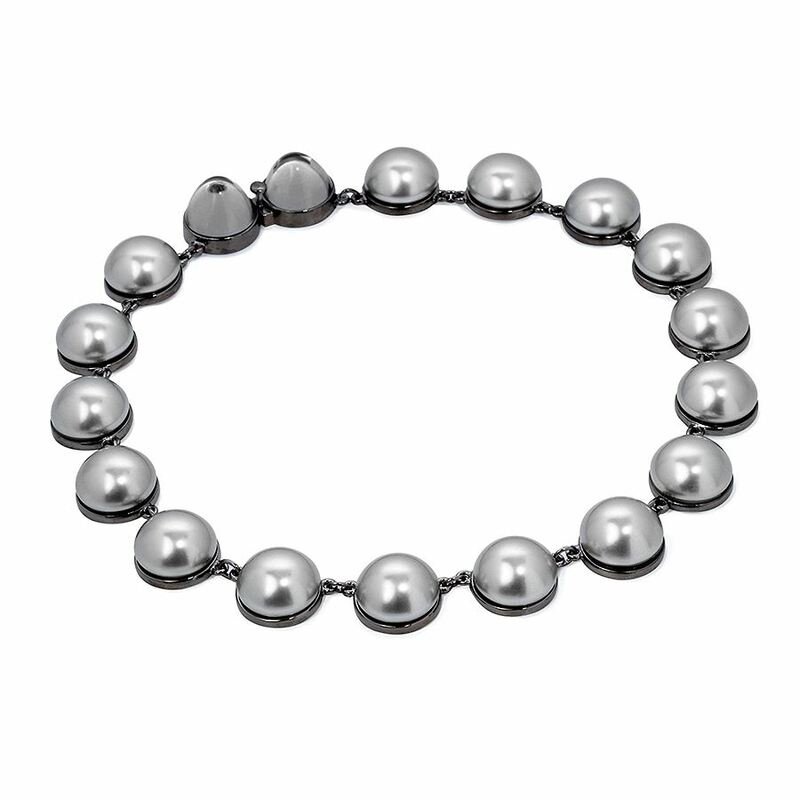 Featuring Swarovski Grey bezel set pearls, this Rhodium plated necklace is a perfect day to night accessory. 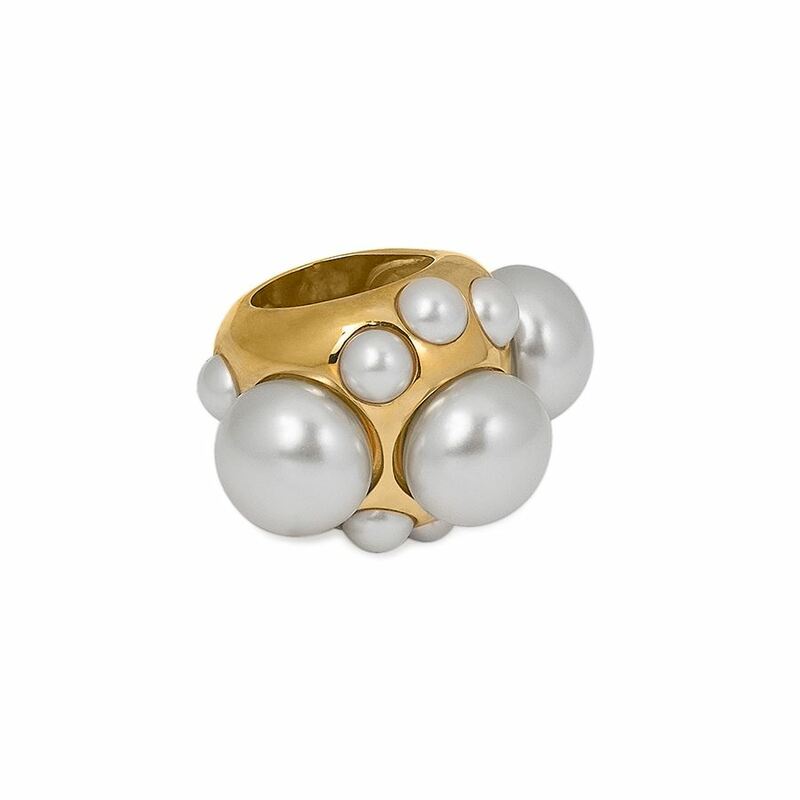 The Lucky dome pearl ring has become the cocktail ring favorite. 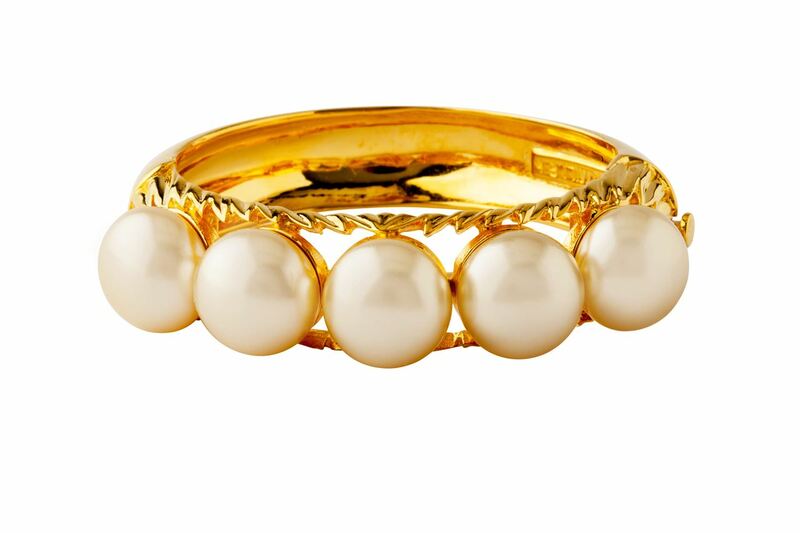 Featuring high dome creme pearls, wear this 24K gold-plate ring with an armful of Lucky bangles.